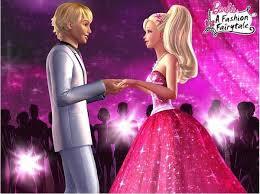 b a r b i e. . Wallpaper and background images in the Barbie In a Fashion Fairytale! club tagged: photo. This Barbie In a Fashion Fairytale! photo might contain ڈنر کپڑے, رات کے کھانے کے گاؤن, رسمی, شام کا گاؤن, رات کے کھانے کپڑے, and رات کا کھانا گاؤن.